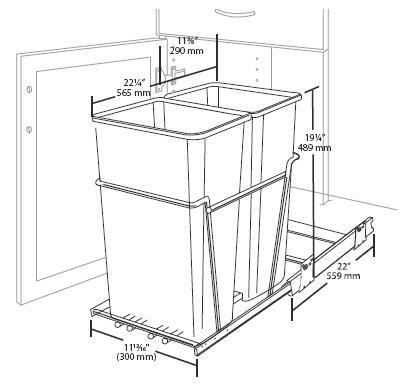 For situations that need more than one trash can, Rev-A-Shelf offers a double pull-out Waste Container line. 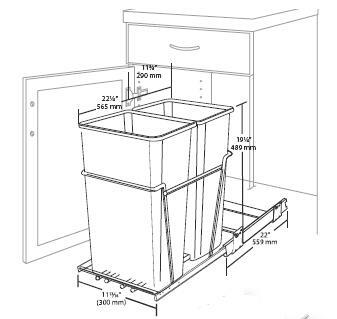 This popular waste container series is available in a wide variety of sizes to accommodate almost any of our base and sink base cabinets. 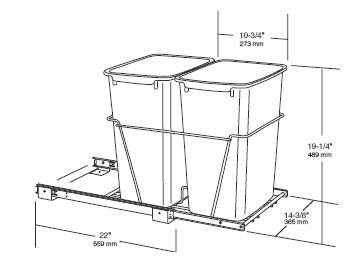 Regarded as the best in the industry, these double pull-out waste containers offer the same great features as the single containers: a heavy-duty wire frame construction; 3/4 or full-extension ball bearing slides and easy bottom mount installaion with just four screws. 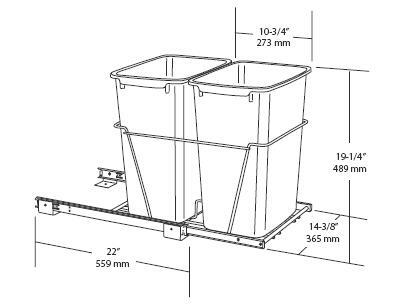 The double pull-out waste containers come in a double 27 Qt. 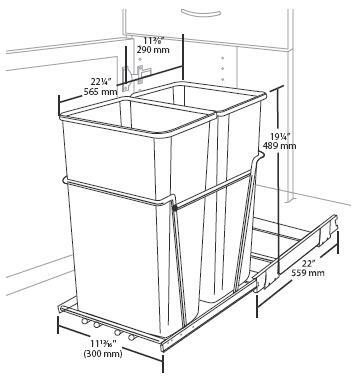 or a double 35 Qt. version. 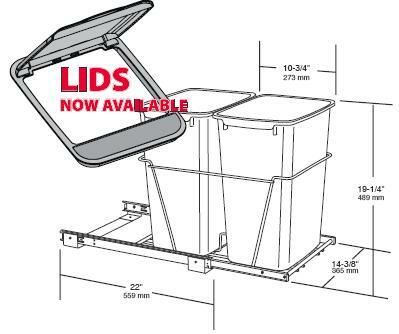 These durable pull-out waste containers are packaged fully assembled and carry the standard Rev-A-Shelf LIFETIME GUARANTEE. additional space for the face frame.